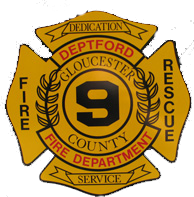 Sunday, February 15, 2015 The Deptford Fire District will holding their annual elections for the 2015 Budget and the election of two Fire Commissioners. Please come out and support Deptford Fire Department by voting YES to the fire budget and electing two commissioner. The polls will be open at 2:00 PM and will close at 9:00 PM on Saturday, February 21, 2015.